Due to extreme pressure spikes at the end of steering travel, power steering hose requirements are among the toughest in the industry. 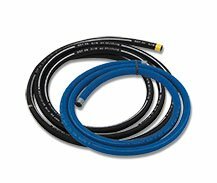 A triple steel and fabric braid reinforced high pressure hose developed specifically to meet the demands of power steering systems, this flexible hose is also suitable for hydraulic and air lines. These steel hose ends have been specifically developed to meet these standards. Earl's POWER STEERING HOSE ENDS are designed to be used only with EARLS POWER STEERING HOSE. Due to extreme pressure spikes at the end of steering travel, power steering hose requirements are among the toughest in the industry. 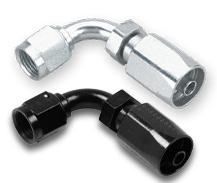 These steel hose ends have been specifically developed to meet these standards.